for over 10 years now. Banging Hip Hop Mixtape CDs for all to enjoy. 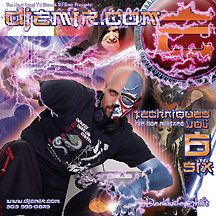 Recieve Mixtape 6 for Free! 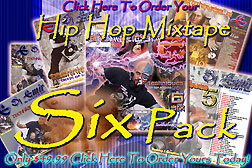 Take advantage of this offer while it lasts Get your Six Mixtape CDs Today! Just $49.99 for 6 Mixtape CDs! So Don't wait! Get Your CDs Today! Get 4 Volumes at regular price and recieve Mixtape 5 for Free! Take advantage of this offer while it lasts Get your Mixtape Copies Today! Over 5 Hours of Banging Hip Hop Music For less than $7 an hour! Just $40 for 5 Mixtape CDs! So Don't wait Get Your CDs Today. less than $7 an hour! Just $32 for 4 Mixtape CDs! 10 Jadakiss -Whatchu So Mad At Now? 11 Stylez P Feat Akon- Can You Believe it? 33 Outro - Fullfilling Your Destiny. The Best Hip Hop Mixtapes On The NET!